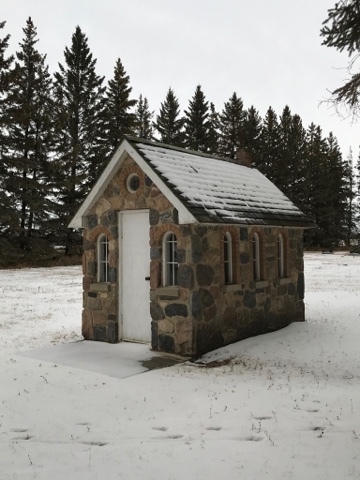 This is at the cemetery at Moffat, Saskatchewan. 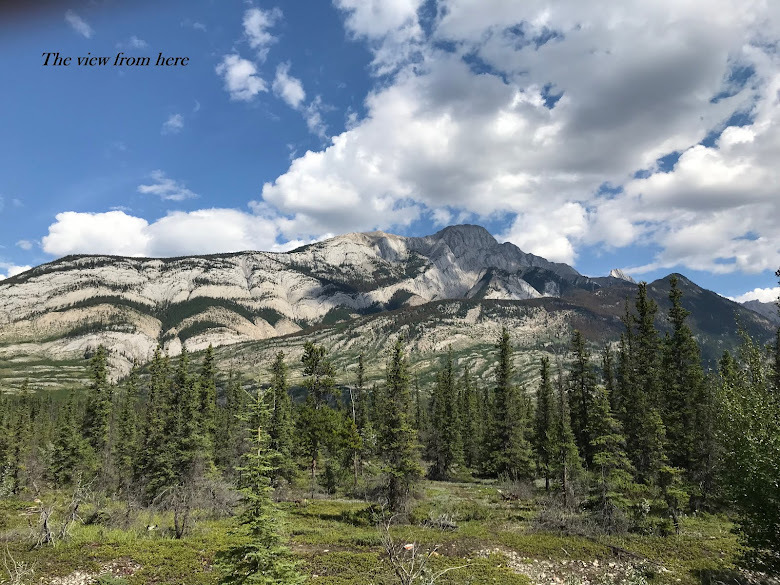 There is not much at Moffat. 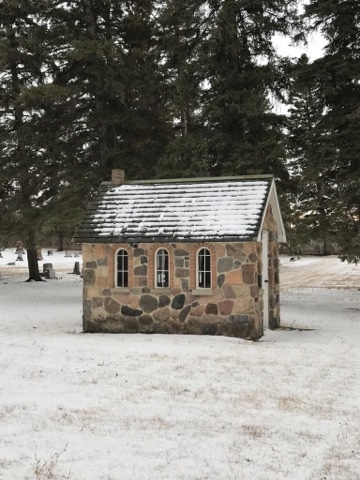 I could not pass up this little chapel in the Moffat Cemetery. It was locked. There are seats inside. There's a tiny Catholic chapel about that size somewhere in the mountains of West Virginia. 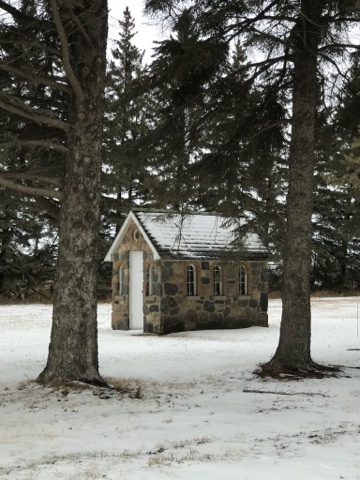 There's a tiny wooden chapel by the highway in Brandon, Manitoba that's no larger than that. What a nice place just to sit and think! And it's made of stone! Oh, love this!